Time to celebrate yet another "Thala" Diwali. 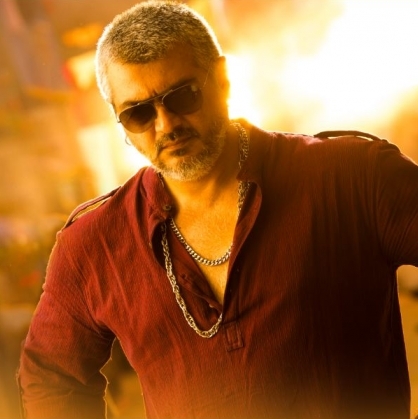 Here's a quick preview on Ajith Kumar's Vedalam! Vedalam features Ajith in two different images - Vedalam in one portion and Ganesh in another. What's more exciting on a Diwali day than Ajith's double treat? Ajith to go under the knife again! Kamal and Ajith to back out? Veera Vinayaka song from tonight! This page hosts a weekly slideshow related to Tamil movies. Each slide includes a picture and some description about that picture. All the slides will have a recurring theme. People looking for actress stills, actress images, actor stills, actor images, movie stills, movie images, and other interesting topics, relevant issues in Tamil cinema will find this page useful. Vedalam AKA Ganesh | Vedalam Expectation Meter - A Slideshow.